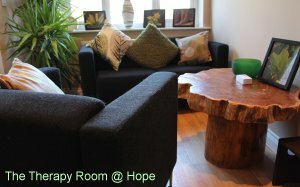 Hope Psychological Services CIC offers individual and group therapy as well as CPD training to therapists, mental health workers, health and social care staff as well as pastoral/community/family support workers and mentors. We offer professional training in many subjects including Cognitive Behavoural Therapy (CBT), working with different conditions in addition to basic and advanced communication skills. Our team of professionals specialise in a wide variety of areas including: dementia, anxiety & depression, PTSD, OCD, bereavement, relationships, low self-esteem, post natal depression, neonatal death and still birth, couples, family work and children, Asian culture and languages and group facilitation. We provide a range of in-house courses to organisations as well as offering bespoke training to specific requirements. Please contact us for an initial informal discussion to discuss how we can help you. Restore the person: develop the potential. 5 day Debriefing Retreat for missionaries and those in Christian ministry.